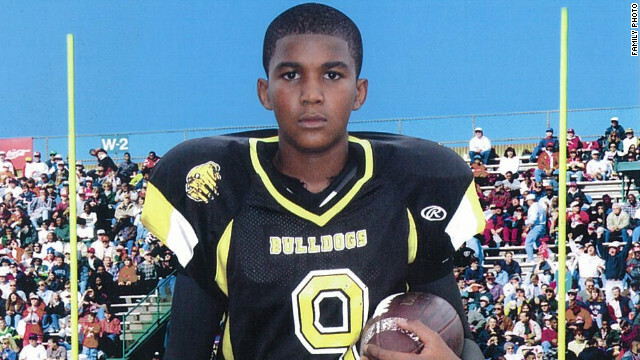 Friday was a blog-in for 17 year old Trayvon Martin, shot and killed by his neighborhood watch captain. I’m late to the party because I’ve struggled to find words. For years. For too many boys. This time the name is Trayvon. Trayvon was returning from the local convenience store to his father’s gated community with a bag of Skittles and a can of iced tea. In his hood, in the rain, he looked suspicious enough to warrant a 911 call from his murderer (described as the Neighborhood Watch captain); a foot pursuit; a tussle; then a bullet to the chest. In the photos of Trayvon that are wallpapering the internet, it is startling how easily his face could be replaced by so many boys I know. My nephews, students, neighbors. The smirk, the stance, the football jersey and peach fuzz all palpable symbols of youth and its requisite lessons in self-preservation–a contradiction if not a crap shoot for too many parents of black male millenials.